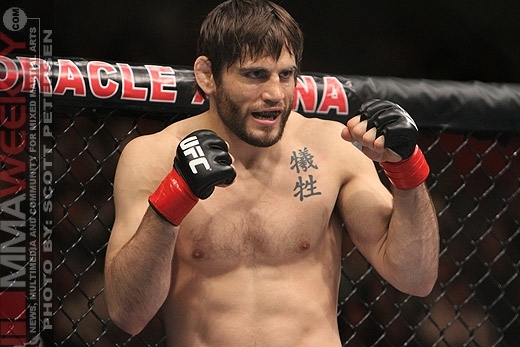 In other pay-per-view fights, Rob Emerson knocked out Manny Gamburyan in 12 seconds; and Demian Maia beat Jason “The Athlete” MacDonald with a rear naked choke in Round 3. Jon “Bones” Jones made his UFC debut with a unanimous decision over Andre Gusmao on the pre-show. Cheick Kongo scored a TKO over Dan Evenson in a heavyweight fight with five seconds left before the end of Round 1. In other preliminary fights, Tamdan McCrory beat Luke Cummo by unanimous decision; Ben Saunders defeated Ryan Thomas with armbar in Round 2; and “The Professor” Chris Wilson beat Steve Bruno by unanimous decision.